This tool is designed, developed and supported by evait security. In order to give something back to the security community, we publish our internally used and developed, state of the art network visualization and organization tool, 'envizon'. We hope your feedback will help to improve and hone it even further. To avoid compatibility and dependency issues, and to make it easy to set up, we use Docker. You can build your own images or use prebuilt ones from Docker Hub. Docker and Docker Compose are required. If, for whatever reason, you want to run the development environment in production, you should probably consider changing the secrets in config/secrets.yml, and maybe even manually activate SSL. Create a database envizon with a user envizon. Password and socket location can be modified in the docker-compose.yml. Your user needs SUPERUSER privileges; otherwise database import (and tests) won't work, because of foreign key constraints: use ALTER USER user WITH SUPERUSER;. You need to create a secret and SSL certificates, as described above. 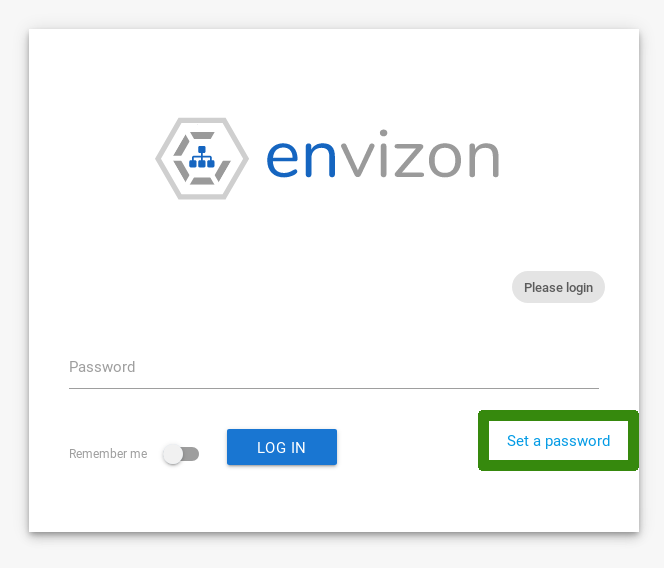 You have to specify a password for your envizon instance. You can change it in the settings interface after logging in. The scan interface is divided in two sections. On the left side you can run a new scan with preconfigured parameters or your own nmap fu. You also have the possibility to upload previously created nmap scans (with the -oX parameter). On the right side you will see your running and finished scans. The group interface is the heart of envizon. You can select, group, order, quick search, global search, move, copy, delete and view your clients. The left side represents the group list. 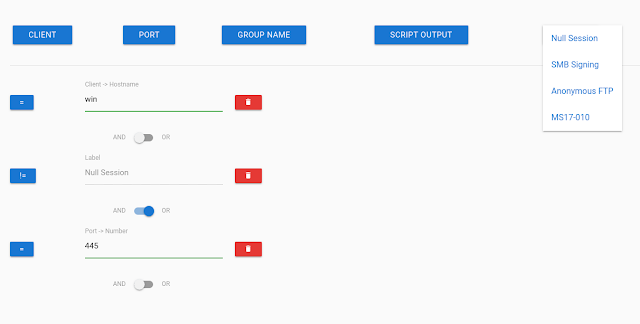 If you click on a group you will get a detailed view in the center of the page with the group content. Each client in a group has a link. By clicking on the IP address you will get a more detailed view on the right side with all attributes, labels, ports and nmap output. Most of the buttons and links have tooltips. In this section you can search for nearly anything in the database and combine each search parameter with 'AND', 'OR' & 'NOT'. Perform simple queries for hostname, IP, open ports, etc. or create combined queries like: hostname contains 'win' AND mac address starts with '0E:5C' OR has port 21 and 22 open. Currently not. We will work on it. Maybe. Latest Chrome / Chromium / Inox & Firefox / Waterfox. Wanted to learn ruby. It's cool. Why so salty on github issue discussion? This is a community project. We are a full time pentesting company and will not go into / care about every open issue that doesn't match our template or guidelines. If you get a rough answer or picture, you probably deserved it. What frameworks and tools were used? You can get some information about the structure and usage on the official wiki.